Size: Select Size 6 oz. Price includes USPS priority shipping. Please call for rush delivery. Other colors available, please contact us for other colors. Colors may vary slightly from internet photos. Silver Vixen Alpaca. 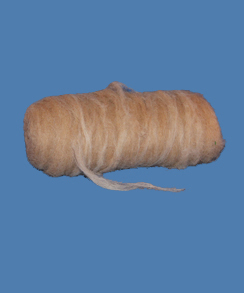 Pencil thin fiber roving for spinning or felting.